Controversy reigned as a last gasp Steven Davies “winner” was judged to be offside as the Bantams drew 1-1 with Fleetwood. Fan filmed footage suggest it was a tight call that could have gone either way. Unfortunately for City it went against them and stopped what would have been a well deserved away victory. The game started in the worst possible way after an a horrendous Ben Williams error gifted the Cod Army the lead just three minutes in. Williams appeared to have misjudged Jimmy Ryan’s free kick into the area and struggled with the flight of the delivery. After catching the ball and nearly taking it over his own goal line, Williams could only parry the ball to the awaiting Jamille Matt who was on hand to tap in. The weather conditions probably affected his thought process, but even so he will be disappointed to have conceded such a goal. You can’t help but feel sorry for Williams. Whilst he may wear the number one jersey, there was a sense that he was only keeping it warm for Jussi Jaaskelainen, Chris Kirkland, Brad Jones. There is a feeling amongst fans, and I include myself in this, that Williams is not “number one material, but instead a good backup option”. A mistake like today’s will not quell those opinions or quieten those who want to see him replaced by the experienced Brad Jones. The Aussie keeper, who last year sat on the bench at grounds like the Bernabeu, now finds himself in the same position but in the less glamorous surroundings of Fleetwood. But for how long will this be the case? Will Phil Parkinson be ruthless enough to replace Williams after his first mistake of the season? It would be harsh on him, especially to think he has endured more pressure than most during the early stages of this season. But for the long term progression of the team, would it be the correct decision? Fleetwood looked a useful and athletic unit in the early stages of the game. They dealt manfully with the threat of James Hanson, whilst their front pairing of Matt and Jamie Proctor were a handful. However for all their effort, the City defence looked comfortable. Rory and Stephen were, well Rory and Stephen. 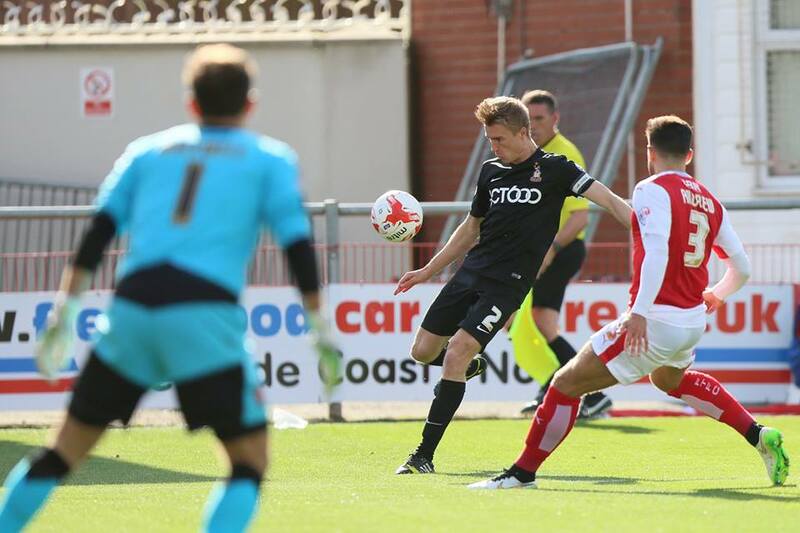 Reece Burke dealt well with the physicality of the Fleetwood strikers, whilst also offering a very cool head at times with the ball at feet. However it was James Meredith who was the shining light today. He was superb throughout and consistently won tackles and blocked efforts. As you expect from Meredith, he supported his winger and adding an extra threat to City in attack; whilst he produced a defensive solidness at full back that we usually associate with Stephen Darby. City took a while to get into the game but with their first attack of the game equalised through a cool finish by James Hanson. 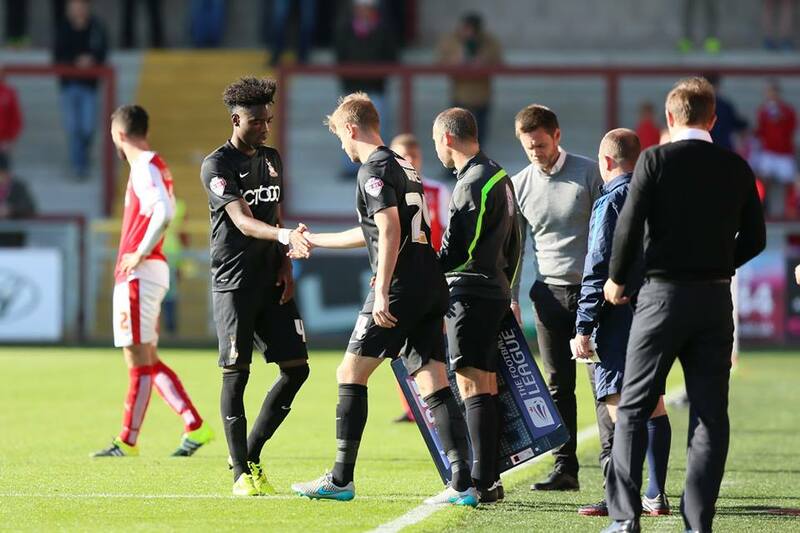 After good harrying work by Billy Knott, Devante Cole unleashed Josh Morris, whose cross was side footed home by Hanson. City grew with confidence and had chances to take all three points in the second half with Rory McArdle and Hanson both going close from set pieces. 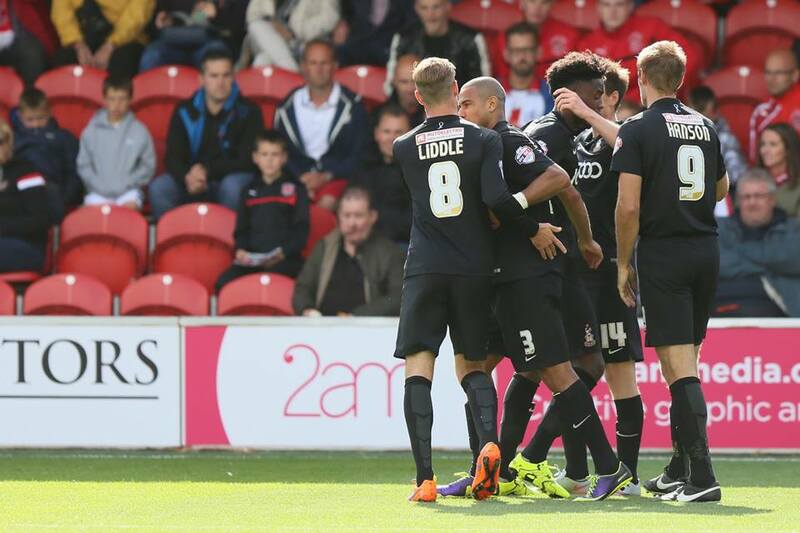 But the real opportunities landed to man of the moment Devante Cole. Unfortunately he missed a glorious opportunity when he was unable to head home from Stephen Darby’s cross. With two goals in as many games, you would have banked on him finding the net. Not that the miss affected his confidence. Moments later, he hit the upright in a move similar to the one scored against Oldham. Billy Knott, who appeared off the boil today, showed a moment of class with a wonderful through ball to Cole. In one of those moments when you’re waiting for the net to ruffle, the effort instead hit the inside of the post and somehow rolled back into play. Changes were made with Paul Anderson, Steve Davies and Lee Evans all coming on. A small point maybe, but I for one am buoyed by the depth that the club have at the moment. No longer do I think the XI on the pitch are weakened by subs like Francois Zoko, Jason Kennedy or Matty Dolan. There is some serious talent at the club, with all three of those individuals having the capability of winning a game. And win the game they nearly did. In the 94th minute of the game Steve Davies headed what he thought was a late late winner. 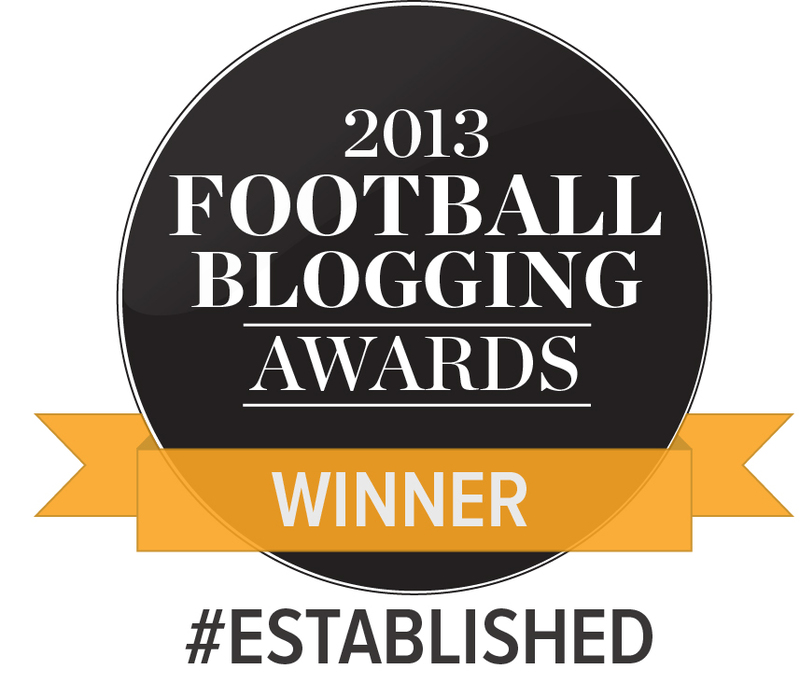 A teasing free kick from Evans was glanced home only for the linesman flag to halt the bubbling celebrations in the far corner of Highbury Stadium. With special thanks to the very kind Thomas Gadd for allowing us to use his excellent photos. Please visit Thomas Gadd’s website for more details or click here for more photos of the game.